Entering the land of trees and lakes in Kenora, Sioux Lookout and Thunder Bay, Ontario. The drive across Manitoba changes its landscape quite a bit as you approach the provincial line. Falcon Lake just set the tone for the rest of the rocky, tree and water-filled drive that was ahead. We crossed into Ontario and the Canadian Shield was real. For those that don’t know what that is, just picture lots of rock walls (aka the earth’s crust) that have been blown out for the road to go through. The Minnesota license plate boasts 10 000 Lakes but Northern Ontario has more than 250 000 so I’m sure you can imagine that there is no shortage of lovely views. We found a boat ramp on a quiet lake where we stayed the night with a few other Ontario vanners looking to catch some shut-eye. Ontario never really felt unique for me since it was all I knew as a child, but after spending so much time elsewhere in Canada, being back reminded me that it really is beautiful. Gotta love waterfront crown land. Our camping spot on Royal Lake. 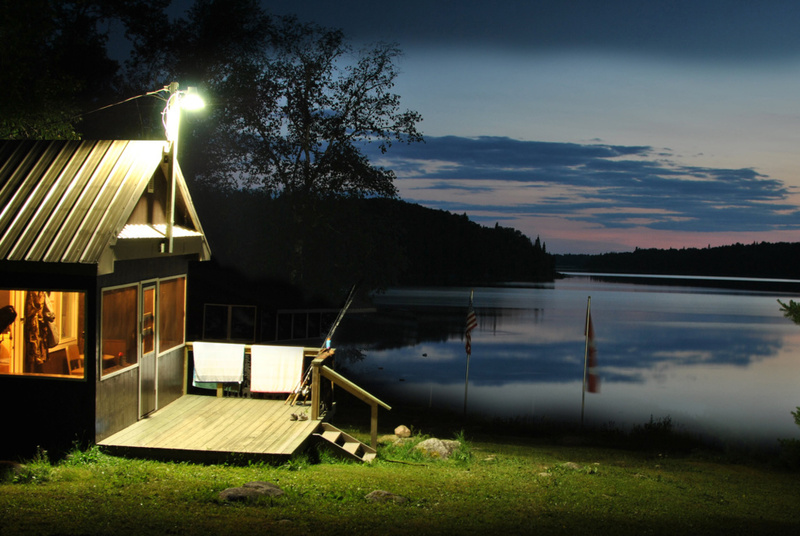 The next morning, we were headed to a remote fishing camp near Sioux Lookout. 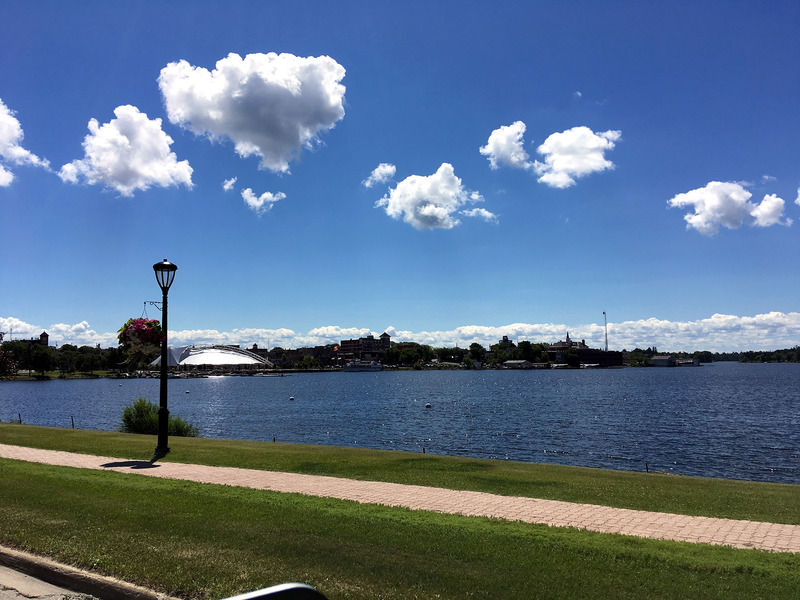 On our way, we drove through Kenora, which was somewhere I truthfully didn’t even know existed but was absolutely gorgeous. The town was bustling with shops and restaurants in old buildings full of character and charm, while boats rolled into the marina and people walked about. In fact, it was so full of tourists that we had our first taste of bumper-to-bumper traffic in a while and it felt like we were in a much bigger city. We had a grocery run to do so we stopped in at No Frills, which was an absolutely madhouse – they were even out of bread. Out of bread!! 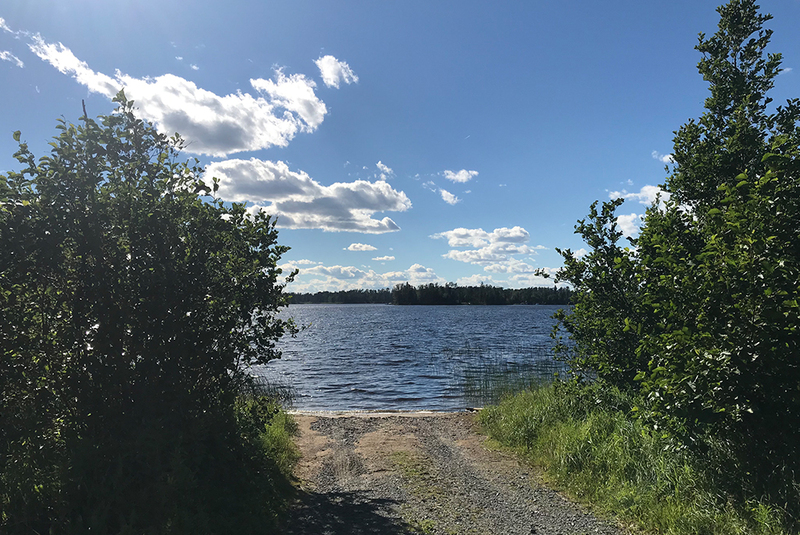 It seems that more and more people are catching onto how beautiful Kenora is and are making it their summer destination and consequently, clearing the shelves of the soft, delicious goodness that we call bread. Anyway, we were lucky that Dryden, another town along the way, was more prepared for these circumstances and had plenty of loaves and hot dog buns alike. 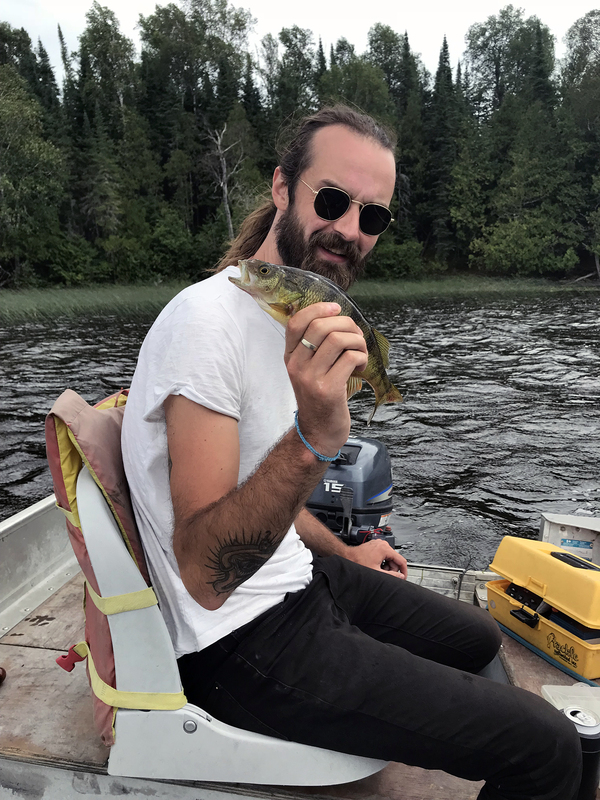 We made it to Sioux Lookout where we caught a boat in to portage over to Ghost River Lodges, a fishing camp on Marchington Lake run by Justin’s aunt and uncle. Many of the camps in the area are fly-in only so it was nice to enjoy a couple boat rides and get a feel for the surroundings. There are 15 lakes all accessible by rivers or small portages full of fishies and other wildlife. 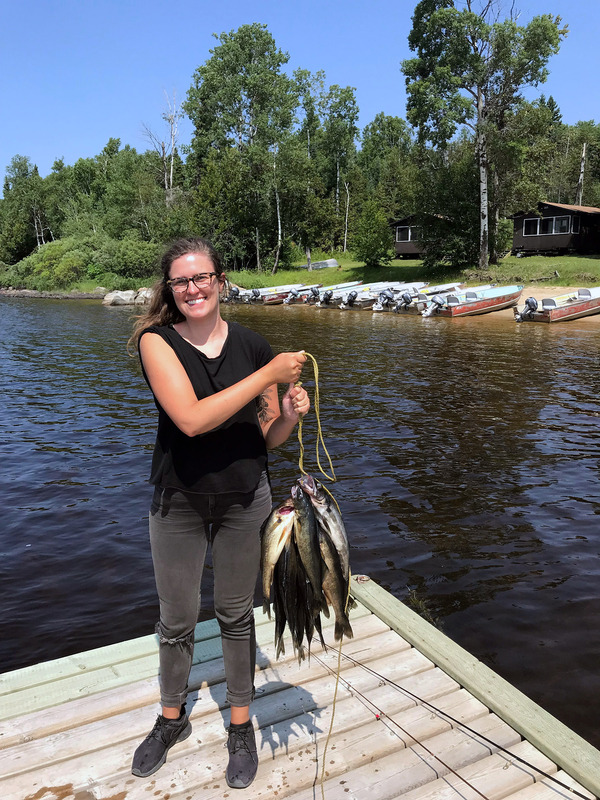 We stayed for a week and fished every day, eating awesome lunches and dinners of the freshest fish around. We even got a cabin with a flushing toilet AND a shower – luxury! Although we had major separation anxiety from the van, it was nice to get away for a while and live a different – equally challenging – lifestyle. We spent our last night hanging out with friends and family, drinking wine and eating homemade fish & chips. We even scored a whole bunch of home-dubbed cassettes that are pretty rad. 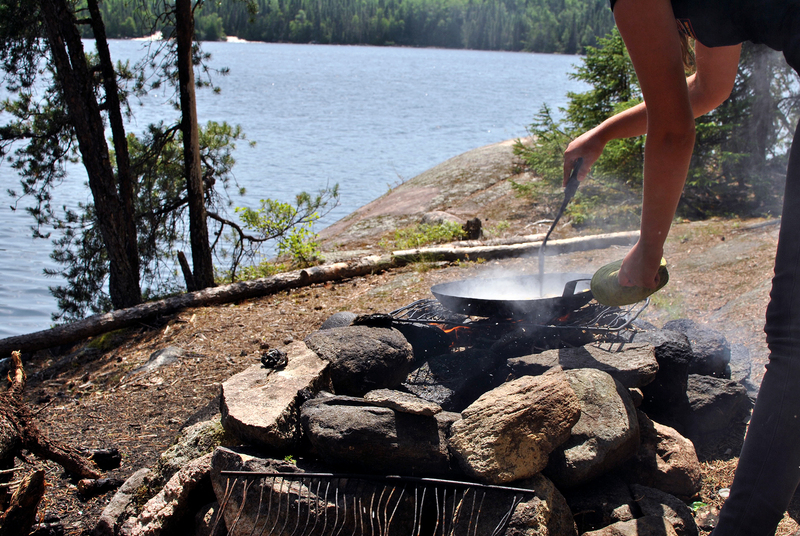 Cooking up a shore lunch on a remote island. Talk about livin’ off the land! The morning portage out was a little slow and fuzzy from all the wine the night before but we were anxious to be reunited with Clementine and get back on the road. Our next destination was Thunder Bay, where Justin has more family. We paid some visits and spent a few days relaxing and watching Mrs. Brown’s Boys with Justin’s grandma before seeing “the sights” that Thunder Bay has to offer. Ok, if you’ve been to TBay before then you know that calling them “the sights” might be a bit of a stretch. 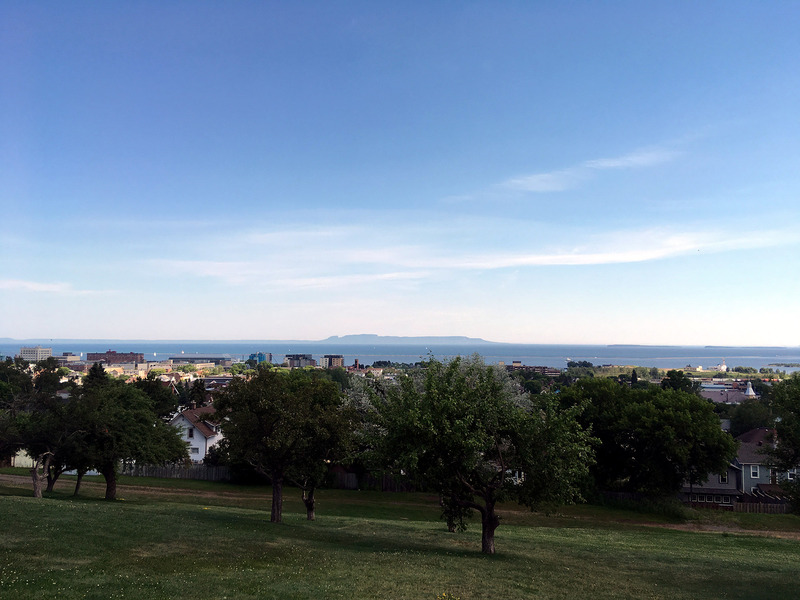 Basically, you’ve got a lovely view of the Sleeping Giant from Hillcrest Park and a stroll around the waterfront and marina. It seems that the city is slowly trying to put efforts into revamping the town to attract tourists and make it a little prettier. They’ve done a great job with the marina and hopefully that same love will creep up into the rest of the city but for the most part, it’s pretty dirty and not very exciting. Without hesitation, we both agree that TBay has been our least favourite place so far. I don’t want to dissuade anyone from going there but let’s just say (family visits aside), we were very anxious to leave. Our foray into Northern Ontario marked our fifth province and the nearing of completing our even fuller circle by returning to Toronto. Although we’ve been so happy to be back in Canada and uncover all kinds of cool new places, the beckoning of cheap gas and groceries was calling. We decided to cross back into the states to get around the Great Lakes as opposed to driving through Ontario. If that confuses you, take a look at a map of Canada and see how huge Ontario is – we’ll cross 8 states in the time it would take to get down through Ontario. Luckily Thunder Bay is barely an hour away from the US border where gas drops by over $0.60/L and chicken breasts aren’t 5 bucks each…ah, what a magical place.